Oxfordshire company Greenteck Global produces a range of trioxygen-powered units used for degreasing, deodorising and sanitising: from conference hall sized models to single-room ones small enough to plug into a domestic electrical socket. In food preparation and service environments, where germs can be easily transmitted and the risk of foodborne illness is high, businesses must have a proactive approach to hygiene and safety. Hygiene is of paramount importance in areas of food manufacture and preparation, so it is essential that staff have access to a hand-washing and drying system with strong hygiene credentials. For food manufacturers and retailers, the consequences of supplying contaminated product due to poor hand hygiene can be disastrous with penalties varying from small fines to site closure. Kevin Gosling, environmental health manager Winchester City Council, says about castor wheels: “Throughout my career, when undertaking routine food hygiene inspections, I have seen many a wheel on moveable equipment that is dirty even within premises where there are strict controls on cleaning. Diversey is preparing to continue its long-standing hygiene membership with the BOCUSE D’OR world chef championship. Held from 29-30 January 2019, in the exclusive Chef’s Village at the EUREXPO venue, LYON – for the biennial SIRHA International Hotel, Catering and Food Trade Exhibition – the Bocuse d’Or is one of the world’s most prestigious cooking competitions. Jangro, the UK and Ireland’s largest network of independent janitorial distributors, launches its new Catering Catalogue this October. It features many additions including more sustainable options than ever before, helping its customers to make environmentally friendly choices, at affordable prices. This year Global Handwashing Day takes place on 15th October and Kimberly-Clark Professional is embracing the annual event’s theme ‘Clean Hands – a recipe for health’ by supporting facilities managers with a range of tools to help them champion hand hygiene, health and wellbeing in the workplace in relation to snacking and eating. Implementing and adhering to good hygiene practices and a robust HACCP plan is an essential part of preventing contamination on food contact surfaces, and cross-contamination between workstations. A major upgrade to the Tork Reflex paper dispenser is set to improve cleaning efficiency in a wide range of environments, says manufacturer Essity. Is your bottom line suffering from overlooked hygiene? New research on customers’ hospitality experiences commissioned by P&G Professional (the away-from-home division of Procter & Gamble [P&G]), shows hotels and restaurants could increase revenue if they improved their hygiene standards. Hillbrush has launched a new colour range of anti-microbial cleaning tools for the food manufacturing and healthcare industries. Listeria has always been a serious threat to the food and beverage industry and there are existing tools and protocols in place to manage it. Yet, whilst leaders in the industry have already implemented a zero-tolerance policy to the presence of Listeria in their food chain, others have taken a more relaxed view. Symphony Environmental Technologies, a global specialist in products and technologies that "make plastic smarter", has launched what it describes as the first latex antimicrobial examination glove made with d2p technology. The J-Cloth Biodegradable from Chicopee (Berry Plastics) is described as the ultimate eco-friendly wipe. As the name suggests, the wipe is both fully biodegradable and compostable, meeting all relevant DIN standards and carrying the seedling logo, granted by DIN-Certo, as proof of its green credentials. With Fatbergs grabbing the headlines and London’s restaurant scene the subject of recent criticism for not doing enough to combat the issue, a grease management company is offering free surveys to Food Service Establishments (FSEs) in Camden. Hillbrush, a leading manufacturer of brushware and hygienic cleaning tools in the UK, has just announced it will be expanding its portfolio and introducing new products alongside workplace organisation solutions. 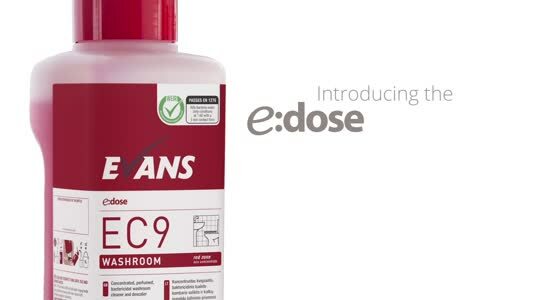 Advanced Engineering, a UK leading manufacturer of ACR cleaning products, has added a new cleaner to its range — FroZone – specially developed for low-temperature cleaning. "Did you know cross contamination can cost the food industry millions? In 2006 Cadburys Schweppes estimated the salmonella contamination of chocolate that occurred at its plant in Marlbrook, Herefordshire cost appx. £20m ($37.5m)," explains Harrison Wipes. Hillbrush, the manufacturer of brushware and hygienic cleaning tools in the UK, has expanded its portfolio and is introducing new products alongside workplace organisation solutions. Charlotte Branwhite from Tork manufacturer SCA looks at smart ways of reducing both labour and product costs in the cash-conscious FM sector. Is your restaurant at risk? How deep is your clean? Cleaning and maintenance programmes within food manufacturing facilities are too often seen as distinct and separate disciplines. Steve Bailey, managing director of contract cleaning specialists Hygiene Group, looks at the crossover that exists between the two and how a well-managed cleaning regime can contribute to effective maintenance – and vice versa. ecgo® Graffiti Remover Super+ is an efficient, high performance graffiti remover based on intelligent fluids® technology and is specially developed to remove even the most stubborn of paints. We thoroughly clean all common areas of residential blocks and estates. D426 is a yellow beaded hand cleaner based on citrus solvents, fine scrubbing agents, emollients and detergents to give a powerful yet gentle cleaning action. Highly effective 99.99% kill of both gram positive and gram negative bacteria proven by independent test. Removes browning caused by over wetting. Enov UltraSan kills Norovirus, E. Coli, swine flu, HIV, Hepatitis C, MRSA and Clostridium difficile. A very effective oxidizing dye removal spotter, for all types of dye stains. The 4×4 SD20KW is a 10 bar 32 Amp 3 phase industrial steam cleaning machine with a steam and detergent facility. Excellent water retention for entrances in offices, education and commercial sites. Xola Clean Concentrate from Bio-Productions is one of the most powerful and versatile cleaners available. The Matrix SO4 is a housekeeping / commercial 4.5 bar pressure steam-only cleaning system, designed for heavily soiled areas requiring cleaning utilising steam only. A combination of Seko technology and advanced electronic design has enabled Seko to offer a wide range of automatic systems for a variety of dosing applications.